Sarah Cathie is an emerging author and solo-mum to her super awesome son Jasper. She juggles, with varying degrees of success, full-time work as a public servant and part-time study in creative writing and journalism, as well as working on her own writing in her spare time. 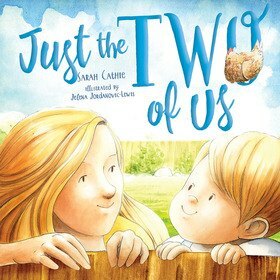 Her first children’s book, Just the Two of Us, is the result of a conversation with her son about why there was no daddy in their home. This heartwarming story explores the idea that all families are beautiful and different and that love is all that really matters. Sarah looks forward to completing her studies so she can move in to a role where she can write all day long. She also hopes to continue writing children’s books that explore different types of families, with love being the central theme.